Unravelling Fate: How Accurate Is Paul Bunyan? Unravelling Fate: How Historically Accurate Is Mata Hari? The newest instalment in shoujo comedy Gekkan Shoujo Nozaki-kun introduces us to Kashima (Nakahara Mai) and Hori (Ono Yuki), yet another hilarious and adorable couple/pair. Kashima is, despite being a girl, known as the prince of the school due to her habit of acting like an over-dramatic host to girls around the school, and she’s one of the best actors in the drama club; Hori is her senpai and is prone to violent tendencies around Kashima (somewhat understandable), but as seen in later manga chapters, he genuinely cares for Kashima and seems to view her as a sort of daughter. 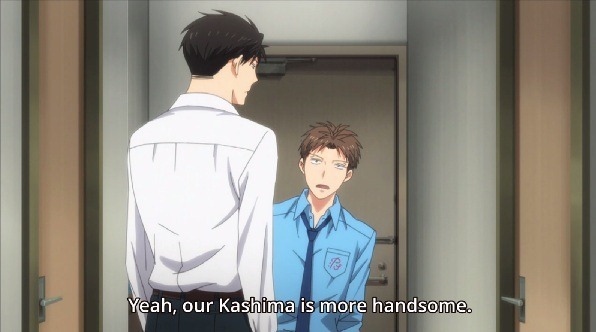 One of the best parts of the Hori/Kashima pair is the number of misunderstandings that surround them. Unlike the sort of melodramatic misunderstandings normally found in shoujo manga, the two being on different mental vectors is purely for comedic purposes. Though I had imagined Kashima with a slightly deeper voice when I read the manga, I have no qualms with Nakahara Mai’s performance of Kashima. I love how Hori is a little ball of rage. Granted, you’d have a somewhat short (ha) fuse if you have to constantly deal with Kashima. Today’s episode delivers the usual hilarity, from Sakura and Hori’s discussion about briefs (as well as Kashima mistakenly deducing that the best way to get on Hori’s side is to talk about dirty jokes), and the usual teasing of an endearingly embarrassed Mikorin. 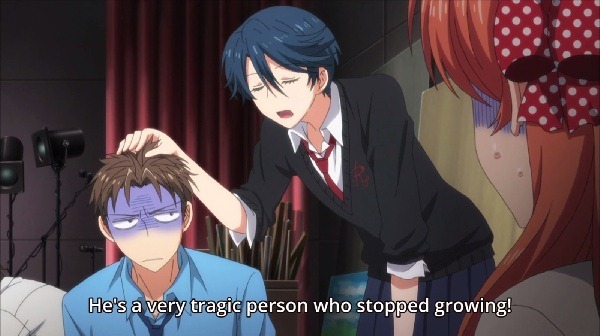 One of the best things about Nozaki-kun is that the cast is made up of adorable idiots, with Kashima, Mikorin, and Seo as the shining stars. 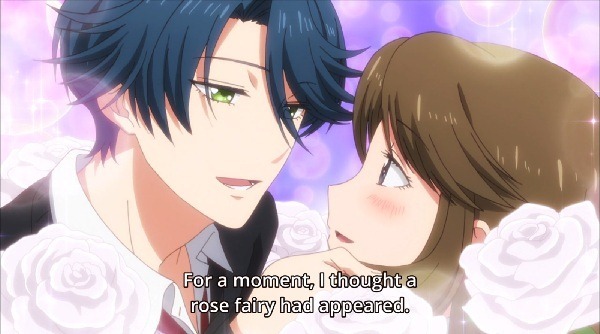 Hori/Kashima is my favourite canon couple in Nozaki-kun and I’m super pumped for the Tomoda (otome game) episode next week. That was one of my favourite chapters in the manga.